We're going to start a new series on the blog. We had such a great response from our Favorite Charts from 2015 collection that we've decided to start featuring more of our client's charts on the blog. If your chart is chosen, we change all the information on living people (or all the people) and you get a $25 gift certificate. It is great "cousin bait" to let us show off one of your charts and we promise to forward any inquiries to you as well. So let us know if you want your chart to be considered in this new series. I'm starting this series off with the chart I've been working on for my own family. My parents recently moved to a new house and there was a perfect wall above the staircase, already fitted with track lighting. So of course, design work on the most epic Family ChartMasters chart began. We showed off a draft copy of this chart at RootsTech. Since this version, we've added more stories, more icons and we're just about ready to print. The final version will be 7 feet tall and 10 feet wide, printed on canvas. It will have 140 stories and 80 pictures and 9 icons for soldiers, immigrants, pioneers, etc. etc. There is no way any grandchild will grow up in this family without knowing all about our family history. And like many of our clients have experienced, the exciting part has been how many new breakthroughs we've made while we've been working on this chart. I have grandparents and great-grandparents who have collected all of this information, so it has been fun to make new discoveries in their research as we've been putting this together. My Mom has been putting together the stories and has discovered all sorts of new characteristics and struggles and triumphs of some of our lesser known ancestors. And yesterday, she was able to connect with a cousin to find a couple of long lost journals and biographies along one line. The cousin didn't realize they had all this information until my Mom pursued the issue. Goldmine. I'll let you know when we get it installed. 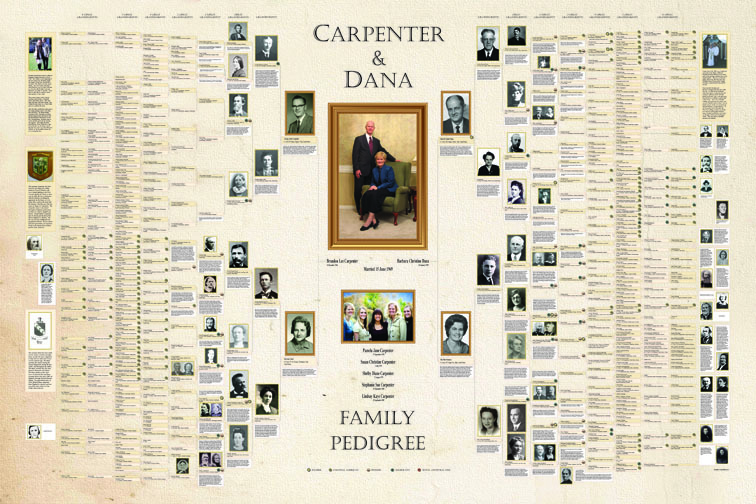 If you ever want to put together an *epic* family history chart for your family, you know where to come. You just start with a free consultation and we take it from there. We'd love to print one for you too. I clicked on the image, but the full image did not appear. I am very interested in an epic chart. I have pictures for all my gr and some of my gr gr grandparents. I have documented three of my grandparents back to the early 1620's in this country. My Danish grandmother is first generation here in the early 1880's. 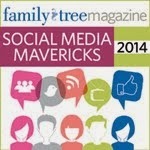 This looks like a wonderful way to document a family. I have wall space for such a chart, and would love to put it there! Thank you for any more information you can give. I am not ready to print such a chart, but would like to plan for one, and of course purchase from you to print. Thank you! Hi Lia! Not sure why the full image did not appear. Try clicking on the chart image and then using your control key with the + key which should zoom in on the chart. We would love to create a chart like this for you. When you are ready to begin, start by visiting our website at http://familychartmasters.com/consult.html to upload your file and we'll be happy to give you a free consultation after reviewing your information. Good luck and hope to hear from you soon! Does your "epic" chart show the children, grand children, etc for the siblings in each generation? I am interested in a system or a chart that does this. 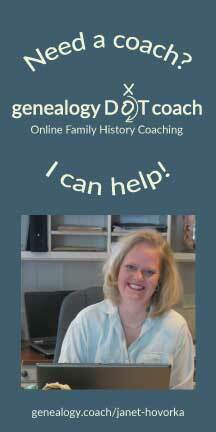 I have been using MyHeritage and have gathered many "cousin"s ie children and grandchidren of my direct line couples. I want to use this as an easy way to check to see who I have found and where more research has to be done (or where I still need luck in finding these through Smart Matches from MyHeritage!). Maybe there is already an easy, fast way for doing thid and I am just not aware of it. I enjoyed your charts at the BYU conference. Hi Della, This chart didn't have children and grandchildren of my ancestor's siblings but we do charts like that all the time. 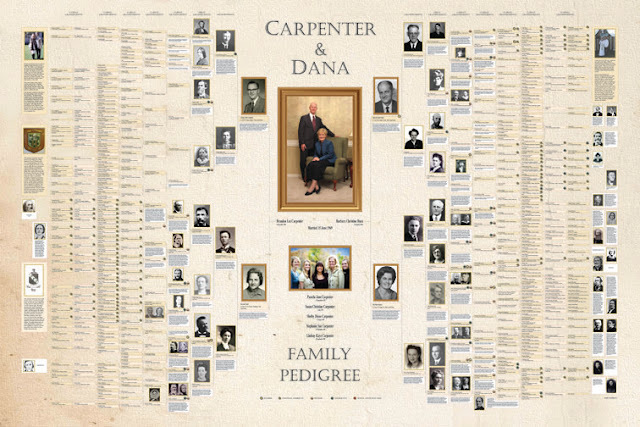 We can certainly show the descendants of your ancestors in a chart as well. Just let us know how many generations deep you want to go. You can send us a file for a free consultation at http://familychartmasters.com/consult.html and we can take a look and give you some ideas for sizes and prices. Or just give us a call. We'd love to print a chart that will help you keep track of everyone.